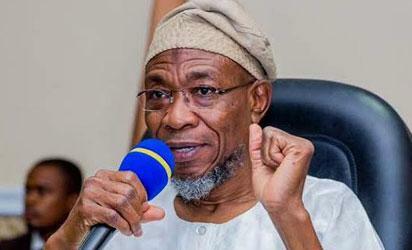 Ibadan — IN what appears to be a lone voice among his counterparts from the South West, the Osun State governor, Ogbeni Rauf Aregbesola, has condemned in strong terms the recent killings of innocent people in Benue State by Fulani herdsmen saying the only way the Federal Government can assure Nigerians of their safety is to arrest all bloodthirsty criminals and ensure they face the wrath of the law. Aregbesola, at a conference, entitled: ’African Knowledge and Alternative Futures,’ organised in honour of a professor of African History at the University of Texas, Austin, United States of America, USA, Prof Toyin Falola, on his 65th year birthday, said until those involved in the murderous acts were rounded up by security agents, other Nigerians might not be sure of their safety. Aregbesola said: “We should demand the apprehension of the criminals, who torment the compatriots, and adequate judicial action should be taken against them. That is the only way we can tell Nigerians that their safety is guaranteed by the law and the government. His counterpart from Oyo State, Senator Abiola Ajimobi, who was represented by Alhaji Olalekan Alli, Secretary to the State Government, said that his administration would focus on good governance as upheld by Falola. Alaafin of Oyo, Oba Lamidi Olayiwola Adeyemi, said, “The Nigerian case calls for the intellectual input of the Yoruba to re-define the nature and pattern of relationship among the diverse and seemingly disparate ethnic groups or nations in Nigeria. The post Benue killings: Nigerians not till FG arrests, prosecutes perpetrators — Aregbesola appeared first on Vanguard News.